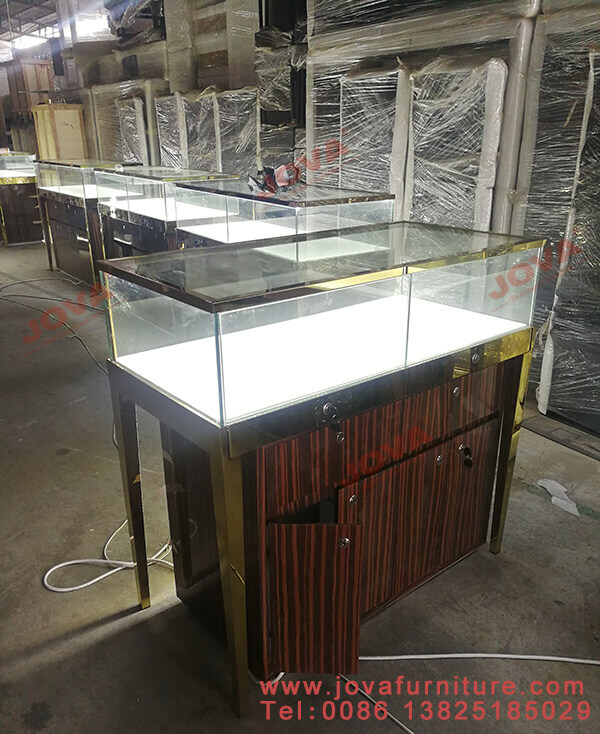 The jewelry store display cases for USA project is completed. 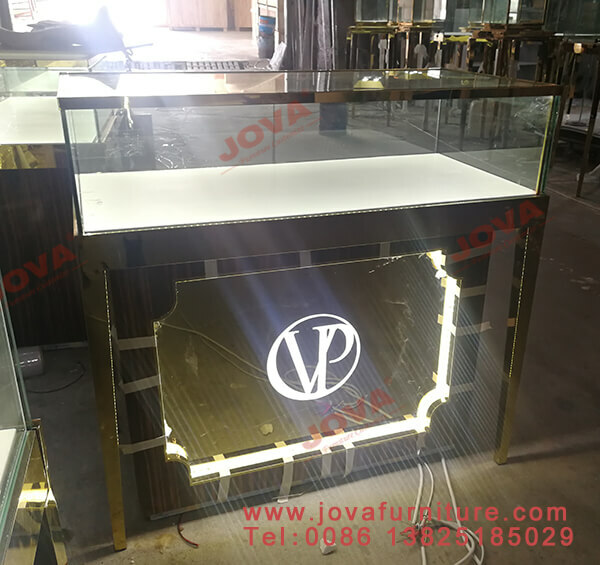 These store display cases main including wall showcase, rectangular glass showcases, jewelry pedestals, reception desks and chairs units. 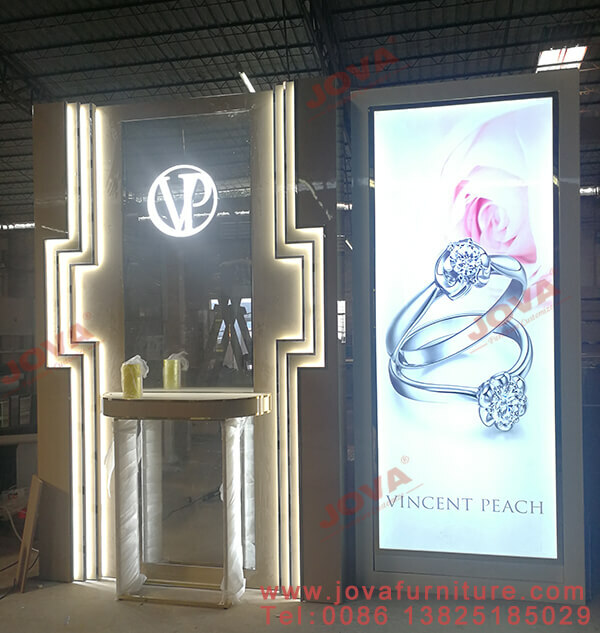 The jewelry pedestal using golden color mirror stainless steel frame, tempered glass cover and led spot lights. 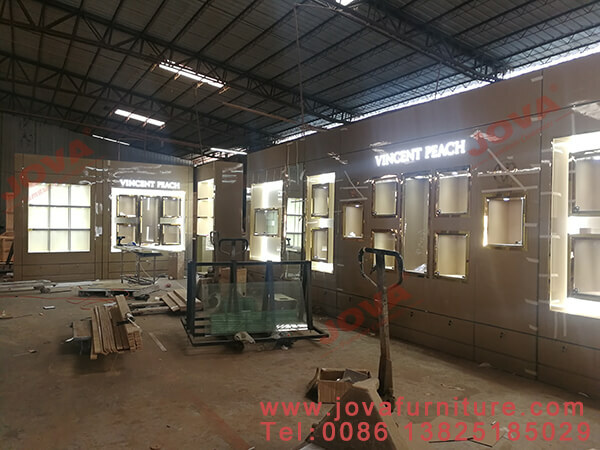 The rectangular glass showcases also made mirror stainless steel frame, tempered glass top, LED strip lights and wooden storage with veneer finish. View the rectangular glass showcases back side, the storage cabinet with double open side door, can be locked. The image light box wall case and the backwall of Reception Desk. 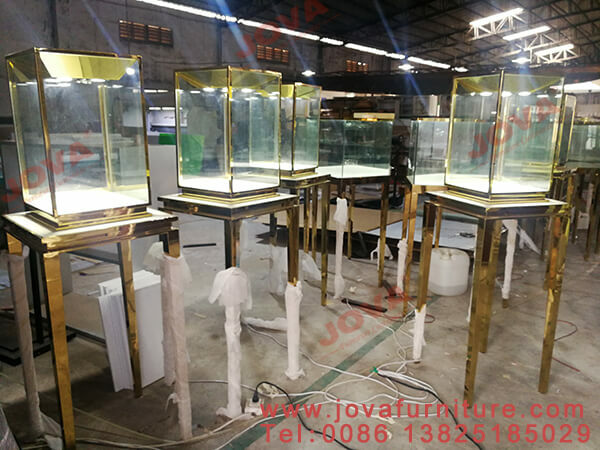 Do shop interior design and custom jewellery shop display, welcome to call or text 0086 13825185029 , or email jason@jovafurniture.com .